Check out the Session Facebook page for further updates! Notable session-friendly pubs will be opening their doors to NAFCo visitors and musicians. A tune is always welcome – all day, every day! 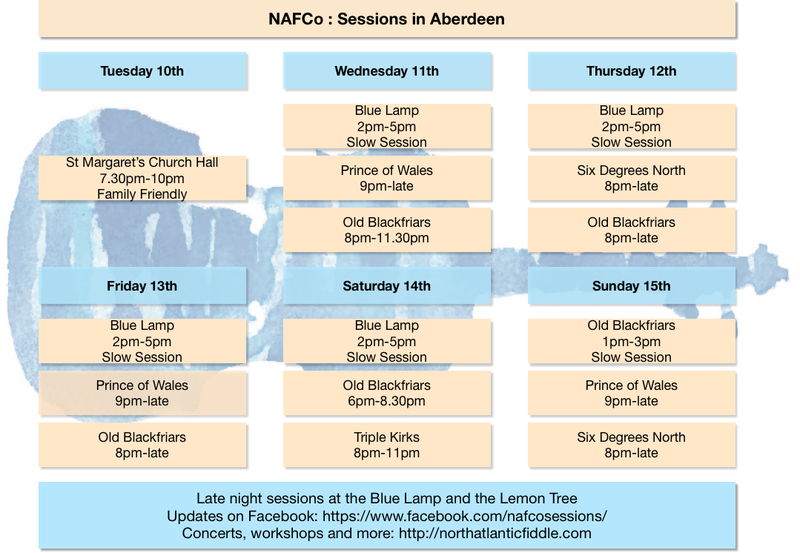 Over the five days of NAFCo we will have several busking trails running throughout Aberdeen City Centre. Busking trails are open to musicians and dancers of all ages. To join one of the busking trails, pop in to our festival club at the Lemon Tree.